Democracy is not failing us, it is we who fail democracy when we fail to actively engage with it. Democracy, as we practice it today, has lost its essential direction and has been usurped by divisive, vitriolic, jingoistic spin. Democracy today is no longer government of, by and for the people. It is government of the most influential, the loudest shock jock, the focus group, the public relations consultant and anywhere the lust for power overrides concern for national unity and prosperity. The voice of the special interest group has come to dominate the present model. Debate, divide and conquer is the aim and its tactic is to fragment the collective energy of the nation, split it down the middle, weaken its resolve and make it easier for vested interests to have their way. Unity is strength. Disunity is a recipe for failure. The system we call democracy, the one devised by ourselves for ourselves, has been compromised by the wealthy for the benefit of the wealthy. The collective interest of the masses has been relegated to second place and has become a by-product. How do we reinvent democracy? 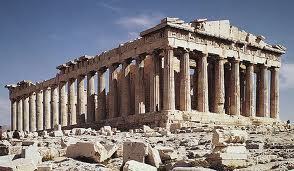 How do we wind it back to the way it was practised in ancient Greece, its original birth place? When we engage in collective discussion we are more intelligent than we think. When we argue for special interest over collective interest we weaken the whole. Discussion panels need to replace focus groups. Councils for public interest should replace career politicians.